A sword is not just a tool or a weapon, it’s the extension of a warrior’s arm. 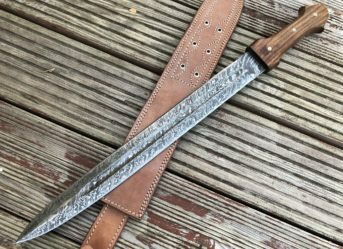 A Damascus steel sword stands out from the common league with a watery pattern on the blade, and if swung by trained hands, a Damascus steel sword can split a feather in midair. Perkin Knives carries a wide selection of Damascus Steel Swords to suit different preferences and individual needs. Featuring full tang swords with availability in different sizes and designs, we have something for everyone. 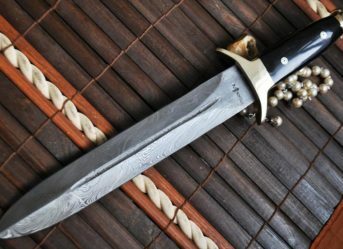 What is a Damascus Sword? 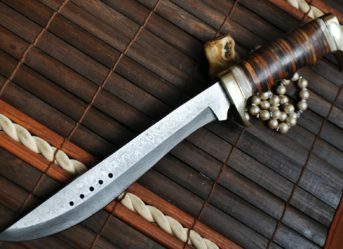 While the origin of Damascus sword dates back to 11th century, it is still a popular choice for survival and hunting expeditions. 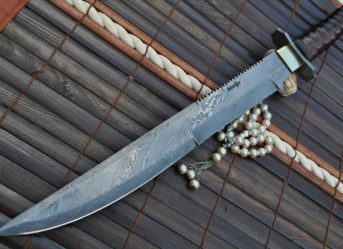 Damascus steel sword is believed to acquire magical properties after being quenched in a special fluid. However, there is nothing magical about it. It’s the sheer engineering, the process and the attention to detail which make our Damascus swords appear magically robust and sharp. 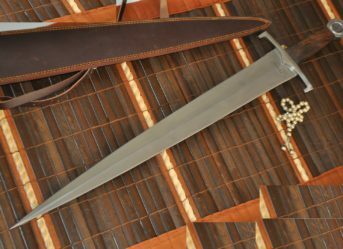 What Makes Damascus Swords Special? 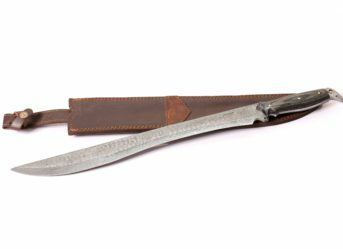 Damascus swords have a rich history of winning several battles and favouring their owners even at their weakest point. 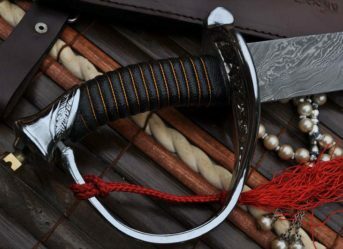 Time has changed, but a Damascus sword continues to serve its owner the way it would centuries ago. 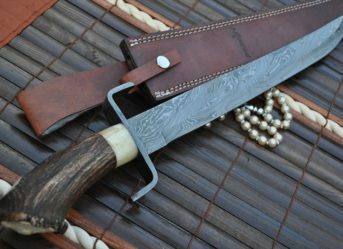 A Damascus blade is said to be tough and unbreakable under challenging situations. And if you want to train with a sharp sword, a resilient edge can be achieved on a Damascus sword if honed skill-fully. As our customer, you should know that each Damascus sword manufactured at Perkin Knives is sharpened manually. At Perkin Knives, we design, manufacture and sell Damascus steel swords UK-wide and across the world. Our fully equipped manufacturing plant has everything that it takes to receive and process the raw material to make the best of the best blades for knives, swords, daggers, etc. Apart from tools and machinery, we have skilled craftsmen on board, paying attention to every minute detail that goes into making a masterpiece. When it comes to Damascus steel sword, we manufacture nothing lesser of the best. From ensuring the sharp edges and grip of the handle to making blades resistant to rust and shattering, we take everything into account that takes us closer to manufacturing a perfect sword. Perkin Knives caters for buyers across the UK and overseas. Our shipping charges are minimal for orders within the UK, and if your order exceeds the minimum purchasing amount, you will not have to pay for shipping. Your order will arrive at your doorstep on time.